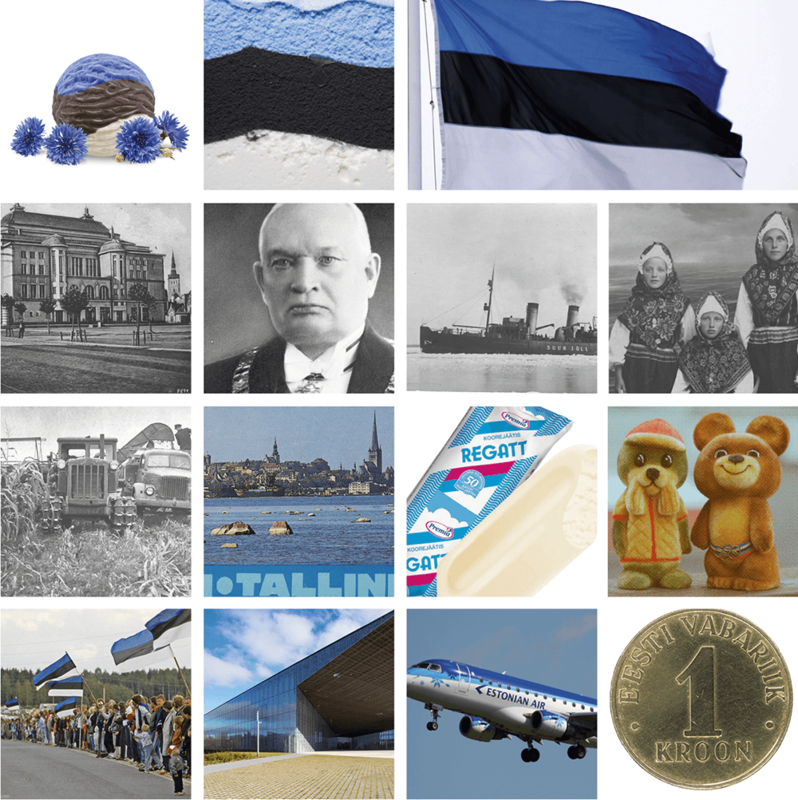 Estonia had its’ 100th anniversary this year. 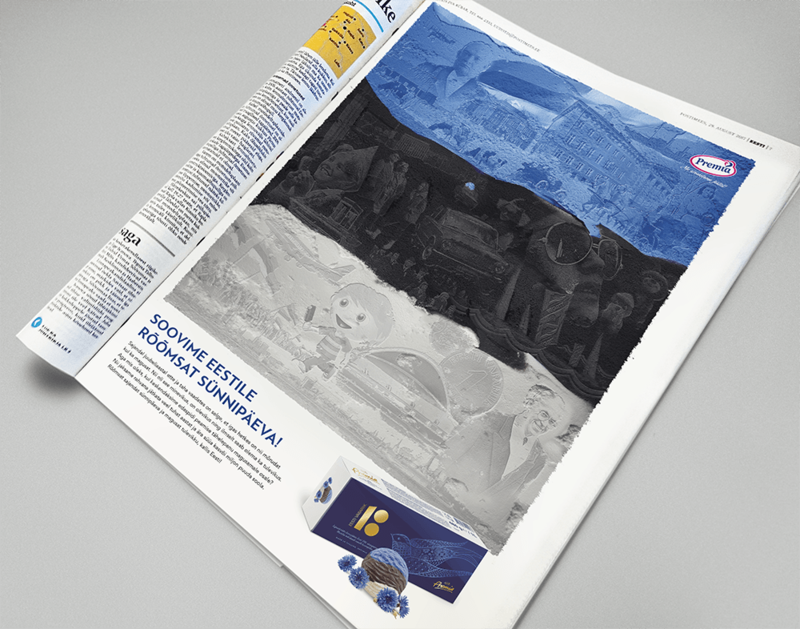 For this festive occasion Premia developed a blue-black-white ice cream – just like the flag of Estonia. 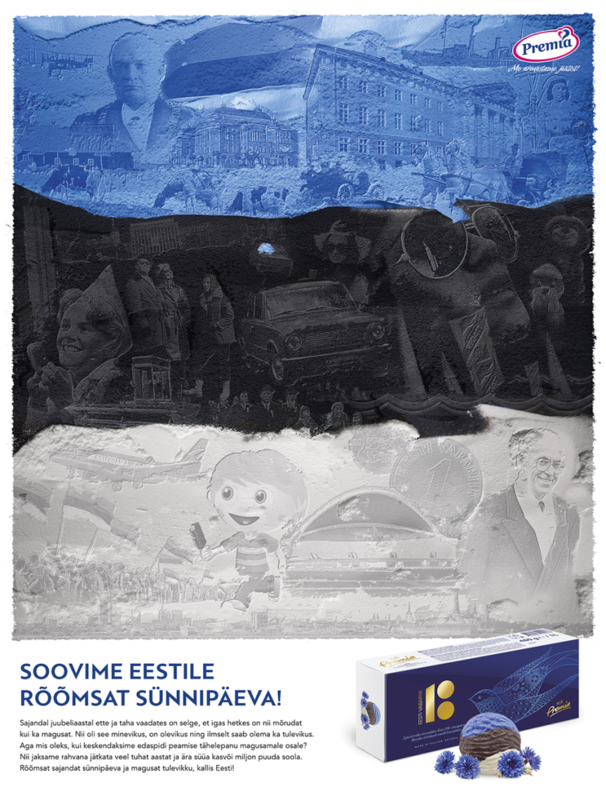 On February 24th we issued a print ad that presented the Estonian history through hundred years on the very same tricolored ice cream stripes.